James DiMuzio, Founder of JD FitRight and creator of FitRight 6 Training System, has 21 years experience exercising and over 15 years experience in the Health and Fitness Industry as a Certified Elite Personal Trainer. Originally from Boston, James developed an interest for fitness and health at an early age and followed his passion to become one of the top Trainers and competitors in the industry. He began his career as a Personal Trainer in 1999 and first worked as a Trainer for Boston Sports Clubs and carried on working for different health clubs servicing thousands of sessions while inspiring each client to successfully achieve their goals. James has been certified from the highest nationally recognized Personal Trainer organizations including: ACE, NASM and PTA Global. He is a Certified Specialist in Integrated Flexibility, Corrective Exercise, and Sports Performance with thousands of hours of experience with all population types, including seniors and athletes alike. Under the direct instruction of Coach Greg Glassman, Founder of CrossFit, James earned his CrossFit Instructor Certification. 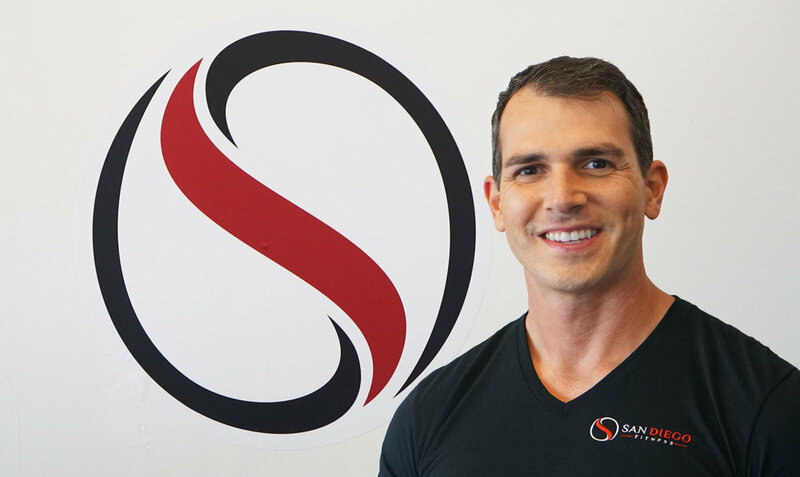 With his knowledge in corrective exercise and how to safely progress a client, he follows the structured outline for clients who have an interest in CrossFit, but results are achieved in a safer and more efficient way to avoid the injuries that most CrossFitters encounter in competition. Furthermore, with an understanding that fitness and health go hand in hand, he is nationally certified as a Holistic Lifestyle Coach through the CHEK Institute. James has appeared in many nationally published fitness magazines including Men’s Workout, Exercise and Health, Men’s Fitness and Shape Magazine as both a Fitness Model and Celebrity Trainer. As a lifelong natural athlete, James is recognized for his aesthetics and symmetry. He started competing at the age of 25, placing First in his first show, Musclemania in Boston, 2003. Earning his Pro Card, James DiMuzio is the Musclemania 2014 California Champion. He’s prepared many male and female athletes for competition and truly understands the sport and dedication while sharing his experience with everyone. James’ philosophy is sharing his extensive knowledge and experience to educate others on the importance of Mind-Body wellness. Believing, “The greatest conquests in life don’t come from outdoing others; they come from outdoing ourselves”. With this mind-set he takes goals extremely seriously and guides his clients to approach each workout with the right discipline, awareness and positive attitude. He enjoys helping others see the benefits of real organic food from the Earth, rather than processed or un-natural food sources that most people find convenient or marketed as “healthy”. He enjoys making raw fruit and vegetable juices and has created many recipes for overall health and energy. One session with James and you will see what sets him apart from other Personal Trainers. He will keep you focused and inspire you to reach your fitness goals. Watch the transformation you go through as James gets you what you’re looking for in a shorter amount of time, combining all fitness components with his specialized Training System: FitRight 6!